I don’t have much experience with Game Boy games. I played some Pokémon games as a kid on an emulator, and Super Mario World on a friend’s Game Boy Advance, but I never even touched the original Game Boy. This was one of the reasons why Timothy and the Mysterious Forest caught my attention. The game’s Itchi.io page describes it as having a “Game Boy feeling with scanlines and 4:3 ratio” and even quotes one of the beta testers as saying that the game is “a Soulslike-Game Boy experience.” With a description like that, I had to check Timothy and the Mysterious Forest out. 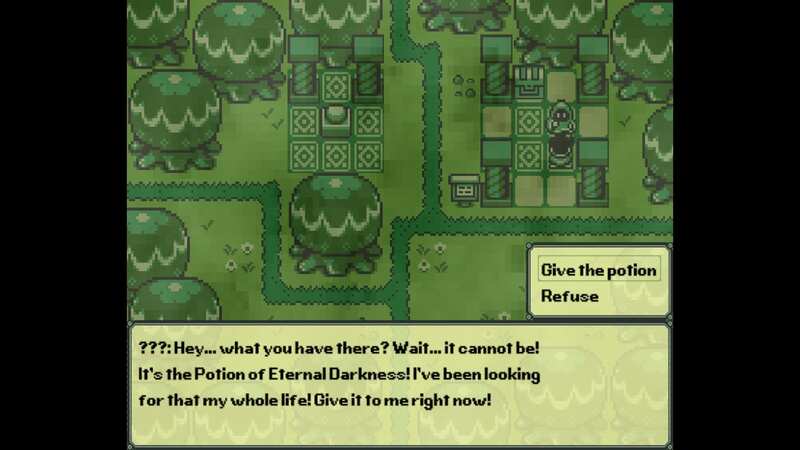 An example of one of the game’s miniquest giving NPCs. Everything about the game is fairly simple. The story is about Timothy who, because of his grandfather being sick, must venture into a mysterious forest to find a magical mushroom. The gameplay, which is similarly straightforward, allows you to only walk or run in four directions and interact. While you do have an inventory, it’s unnecessary and only shows you what items you have. 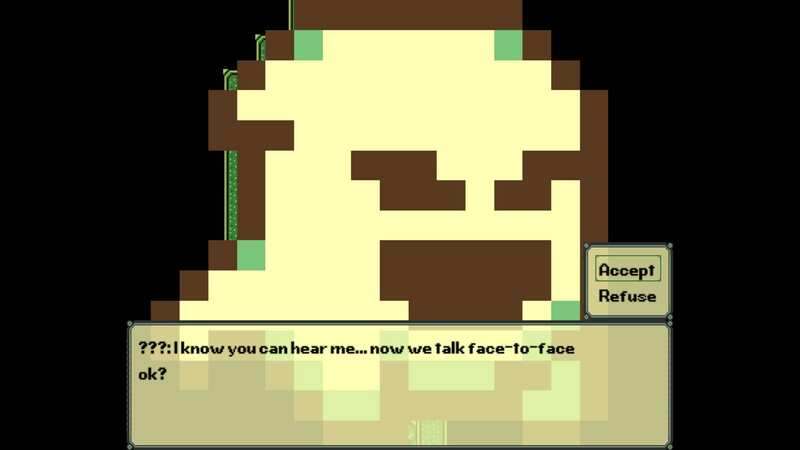 I found a certain charm to the game’s simplicity, especially in its green monochrome sprites and chiptune music. Many modern games overwhelm you with mechanics, so it’s nice from time to time to play this type of game. What surprised me about Timothy was that it is more puzzle-adventure than action-adventure. The game can be split into only two parts: the forest and the castle. The forest is more a series of mini-quests at the end of which you will get the spell that will let you enter the castle which has the magical mushroom. I liked that the forest was made up of these mini-quests. You needed to figure out the order to do them since some require an item from another, so figuring out the order was a puzzle in itself. It’s also in the forest where the game makes the best use of its death system. Since every time you die you start from your last save, which you manually do by using a save crystal, the game incentivizes saving every time you are about to try anything. Knowing this, the game makes memorization an active part of its level design. One of the early mini-quests is traversing a trap-filled maze. In order to beat it, you need to memorize where the traps are and figure out the way to the maze’s center over many deaths. I loved doing this and if the game had more of these puzzles it would have been fantastic. An interesting bit about the maze is that you are not quite sure you are safe when you make it to the center. The castle is what brings the game down for me. It is a long gauntlet of tough rooms where you dodge enemies and spikes, with only one save point outside the castle. It’s not like these challenges are that hard, it’s that the enemies’ AI is a little wonky, and they move in a manner that is difficult to predict and manipulate. This section becomes a frustrating chore whenever you get caught and need to restart. The end of the castle is also where you make the decision whether you get the bad ending or continue to get the good and true endings. This means you need to do this level more than once to see all of the endings. 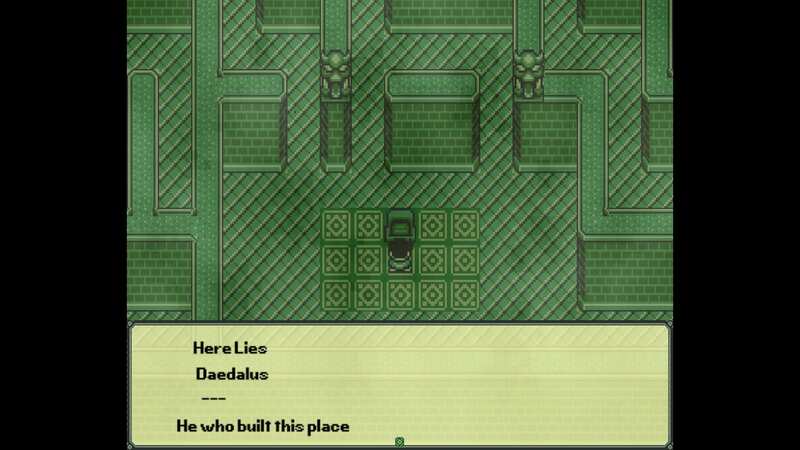 The game’s weakest element is its attempt at meta-horror. As for the game’s writing, while I did like some of the humor, especially some of the interactions with the NPCs and a silly reference to the Ben Drowned creepypasta (creepypastas being online short horror stories), overall it wasn’t that engaging. Most notably, I did not like the game’s lousy attempts at meta-horror, as they felt out of place and lackluster, with the above image being one of two times when the game attempts to do it. Additionally, while most of the game’s original soundtrack was pretty okay, it was a bit annoying to hear the chiptune versions of real music. This includes versions of Bach’s Tocatta and Fugue in D minor and Spooky Scary Skeletons. I personally prefer it when video game soundtracks are completely original. To conclude, I liked Timothy and the Mysterious Forest. It was a short, interesting game that challenged me and made great use of its death system. I only wish that there was more to do in it and better AI for the enemies. You can get Timothy and the Mysterious Forest for free on itch.io.